A man was beaten and robbed overnight by five offenders near Halsted Street and Newport Avenue. 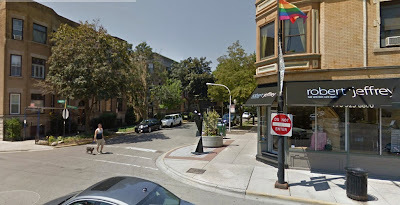 The offenders, described being black men with dread locks and dark skin, took the victim’s wallet and cell phone before fleeing southbound in the alley behind Halsted. On June 13, another man was jumped by six black men in the same area. The offenders in that case fled after the victim fought back and regained control of his cell phone. This morning's incident is only the latest case of individuals being attacked by an overwhelming number of offenders along the Halsted Strip. UPDATED 4 JULY 2013: Added case number.